sycamore stirrings: The Most Amazing Time! 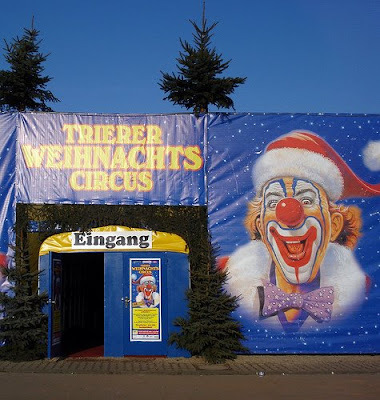 We took the girls to the Trier Christmas Circus on Saturday and it was absolutely mind blowing. 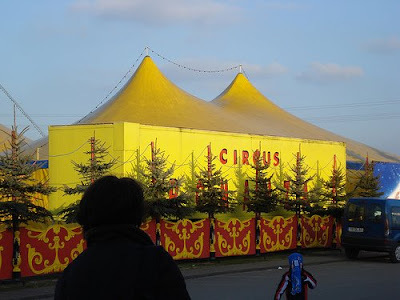 We had no idea what to expect, no one told us about the circus or recommended it. We just saw a flyer in Heidelberg and decided to go for it. We are all so very glad we did. It turned out to be so quintessentially European. Amazing. Simply Amazing. First of all the circus was in a tent, a big top. I was expecting an arena type venue. I think when a circus comes to Seattle it's in Key Arena. Right? Anyway, not only was it in a tent, but it was in a smallish tent. Small. Cozy. Intimate. Old fashioned. European! Walking in, I started kicking myself for buying tickets so close. I had no idea of the size of the venue. Any seat in the audience would have been wonderful. In the middle of the tent was a ring with sand and sawdust and a circular tarp over the top of it. The "stage." I looked at it and thought, holy crap are there going to be wild animals running around, this close to us? YUP!! There was one performance at a time. A woman juggling with her feet while laying on a motorcycle. A little stand-up shtick by a German clown. A trapeze artist. A woman who demonstrated her many, many talents with many, many hula hoops. Some circ-de-soiel type acrobats who did 3 different acts. And the animal acts. HOLY CRAP. First we were treated to 6 camels (the kind with 2 humps!! They looked like they were straight out of a Dr. Suess book) walking around the ring. We were probably 10 feet away from them. The did some tricks, sat down and then a guanaco came and jumped over each one of them. The camels were my FAVORITE. They were amazing. I've never seen a 2 hump camel before. And they were sooo *FREAKIN* close. At one point I was giggling so loud the guy in front of us turned around. I just couldn't believe it. So cool. Next to come were the Elephants, 3 of them. With pretty ladies riding atop. Had we been in the section to the left of us we could have touched their trunks. Audrey loved the "lumpa lumpas" but was terrified of the camels. The last animal act were horses. They did some impressive tricks too. The girls both liked the "ponies." It truly was not so much about the tricks - it was about the proximity, the excitement in the air, the feeling of circusness. There was cotton candy, popcorn and other circus treats. You could also buy a glass of wine or a pint of beer and drink them at your seat. And I don't mean just like a paper cup, I'm talking about glass of beer. Ah, the little differences. Always interesting . . . The girls loved it, but honestly, Bryce and I *really* loved it. We knew we were experiencing something special, something that we couldn't experience in the U.S. This was a circus and we were fortunate enough to see it. Holy Cow wow, the pics look so fun! What a treat! WOW that looks amazing. 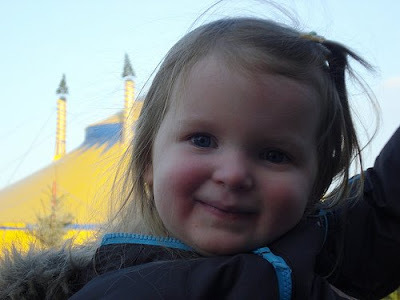 I would never think to take the girls to an American circus but that looks like a great thing! Now that is a real circus! It looks like an awesome time. How cool! THanks for sharing and let us vicariously attend through your post! Happy New Year! Looks like a lovely time! 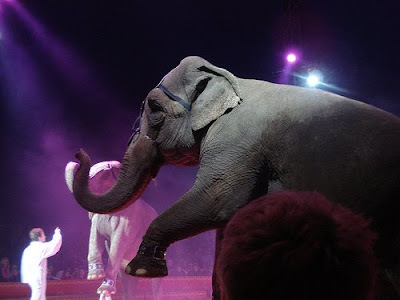 I am loving your blog, that circus looks so magical. 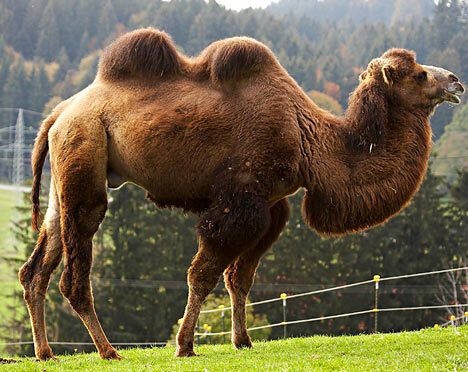 I love 2-hump (bactrian) camels too. My daughter got to ride one when we were in Almaty KZ. As a general rule I don't care for the circus, but that one looks like it was fabulous! Quite European indeed! !